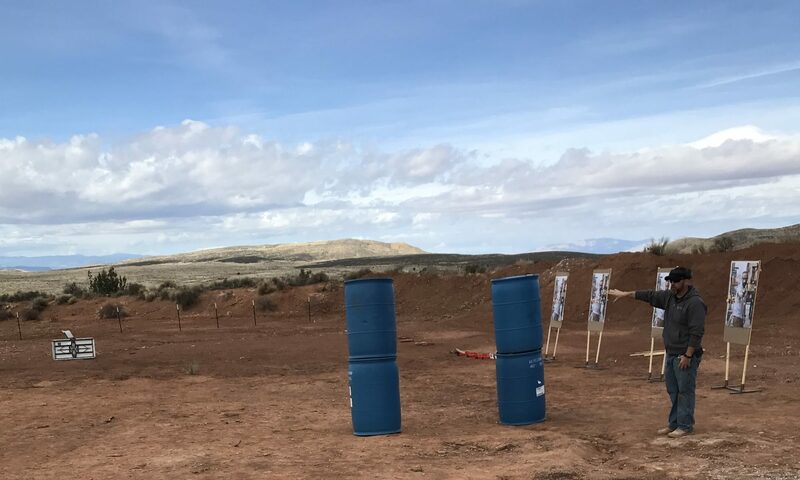 The Utah Concealed Firearm Permit Course is offered on Thursday evenings or Saturday mornings, the first and third weeks of the month. This course covers the Utah State mandated material required for you to obrtain a Utah concealed firearms permit. Included in the course fees are fingerprint cards, a passport photo, a photocopy of your driver license, and a free one hour range pass to the shooting range. State of Utah fees: A non-refundable fee of $57.00 for Utah residents or $67.00 for non-residents. *Non-residents, who reside in a state that recognizes the Utah CFP, must have a CFP from their state of residence PRIOR TO obtaining a Utah CFP. At the end of the course, the Utah Concealed Firearm Permit application will be ready to drop in the mail box. Groups scheduling a class for 15 or more students will qualify for a reduced price of $50.00 per student. *A criminal background check is conducted by Utah BCI for all applicants. If you have any questions regarding your eligibility to obtain your firearm permits, you may contact BCI directly by phone (801) 965-4445 or email to DPSFIREARMS@utah.gov.